Norwegian oil and gas major Statoil has reported that an undetermined amount of oil leaked into the North Sea this morning during tanker loading operations at the Statfjord A platform. The oil spill was observed in the sea close to the OLS B loading buoy, while the tanker "Hilda Knutsen" was being loaded. The OLS B loading buoy is positioned between the Statfjord A and the Statfjord B platform. Loading to the tanker has stopped and supply to the pipe and loading system from Statfjord A has been closed, Statoil says. Production at Statfjord A is operating normally. The leak is located in a flange in the loading hose. The stand-by vessel with oil spill response equipment and the anchor handling vessel, equipped with a ROV, are at the location. A SAR helicopter is also assisting with monitoring the spill. 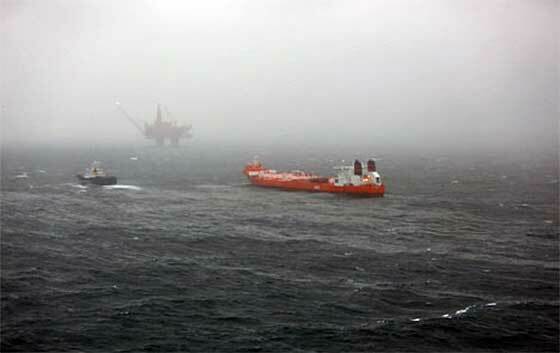 Statoil has also notified relevant authorities.